The Hanshin Tigers are halfway home. Minoru Iwata snuffed out almost all of the Yomiuri Giants’ myriad of scoring chances, Takashi Toritani and Matt Murton drove in two runs apiece, and the Tigers took the initiative in the Central League Climax Series Final Stage with a 5-2 victory in front of a crowd of 44,728 on Thursday night at Tokyo Dome. The Tigers now have two of the four wins they need to book a date back at home in Koshien Stadium for the start of the Japan Series on Oct. 25. 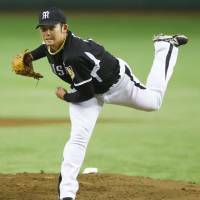 Hanshin has won both of the final-stage games on the field and holds a 2-1 lead over Yomiuri, which began with an automatic 1-0 advantage, in the series. 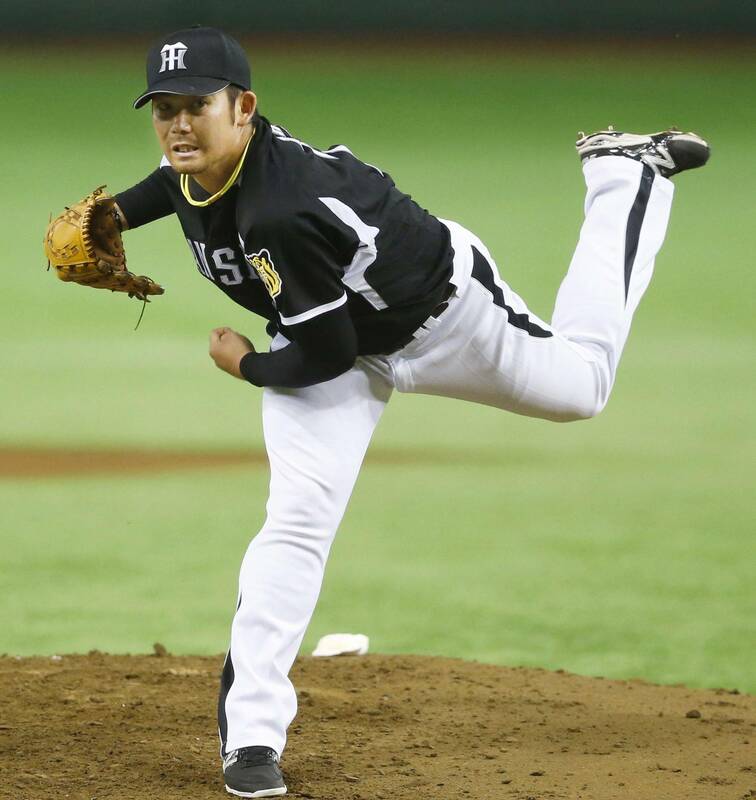 Iwata gave his team seven solid innings on the mound in a winning effort. The southpaw allowed only Hirokazu Ibata’s two-run homer in the seventh while striking out six and walking one. “Iwata was able to get out of trouble and seemed not to be bothered in a pinch,” Tigers manager Yutaka Wada said. Iwata wriggled out of a one-out, bases-loaded jam in the third when Itaru Hashimoto hit into a double-play and shut Yomiuri down with runners on the corners in the fourth. He stamped out a few other fires before they really got going to make the Giants offense look very small. “The pinches were my fault, so it was my responsibility to work out of them,” Iwata said, referring to his throwing error in the third on a sacrifice bunt attempt. Iwata drew a walk in the top of the third and later beat the throw home from center on a single by Hiroki Uemoto to score the first run of the game. “I knew it would be a close play at the plate and I’m just glad I was able to beat the throw,” Iwata said. Toritani played one of the starring roles for the second consecutive night, collecting two hits and driving in two runs. He was 2-for-4 with an RBI in the Tigers’ 4-1 victory in Game 1. Murton poked a single through the left side of the infield to bring home a pair of runs in the fifth and finished 1-for-4. Uemoto was 1-for-3. Things turned scary in the fifth when Uemoto was hit in the head by a 145-kph fastball from Giants pitcher Hirokazu Sawamura. The Tigers infielder was on the ground at home plate for a few minutes as he was attended to by trainers. A stretcher was brought out, but Uemoto walked into the Hanshin dugout on his own and emerged a few moments later to take his place at first base. 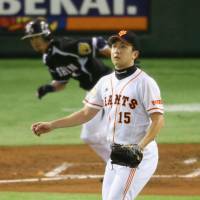 Sawamura was ejected from the game for throwing what was deemed to be a dangerous pitch. Sawamura also took the loss. He was charged with four runs on four hits in four-plus innings. The right-hander struck out three and walked three. After the Kyojin finally broke through on Ibata’s homer in the seventh, pinch hitter Kenji Yano hit a one-out single into center field. Hisayoshi Chono then, in a microcosm of the Giants’ night, hit a line drive right to first baseman Mauro Gomez, who stepped on first for an inning-ending double-play. If only to prove lightning does indeed strike twice, Shinnosuke Abe hit into exactly the same play, also with one out, in the eighth. 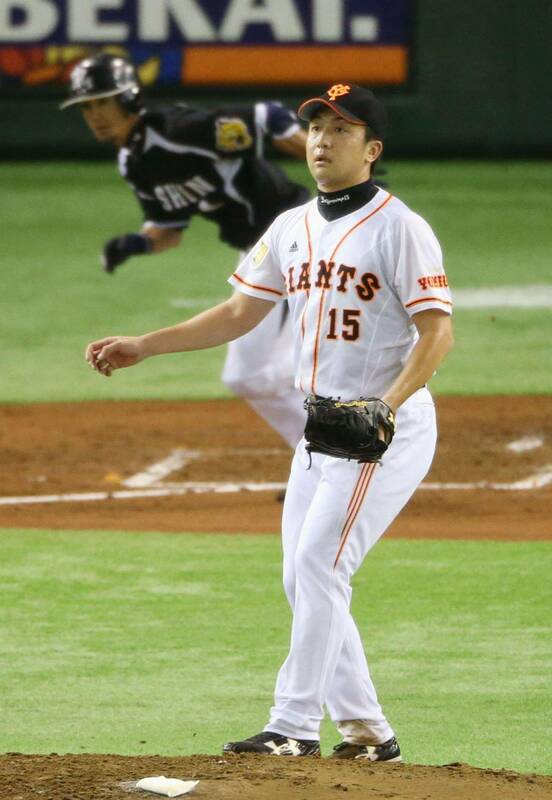 Ibata finished with two of the Giants’ seven hits and Shuichi Murata went 3-for-4. 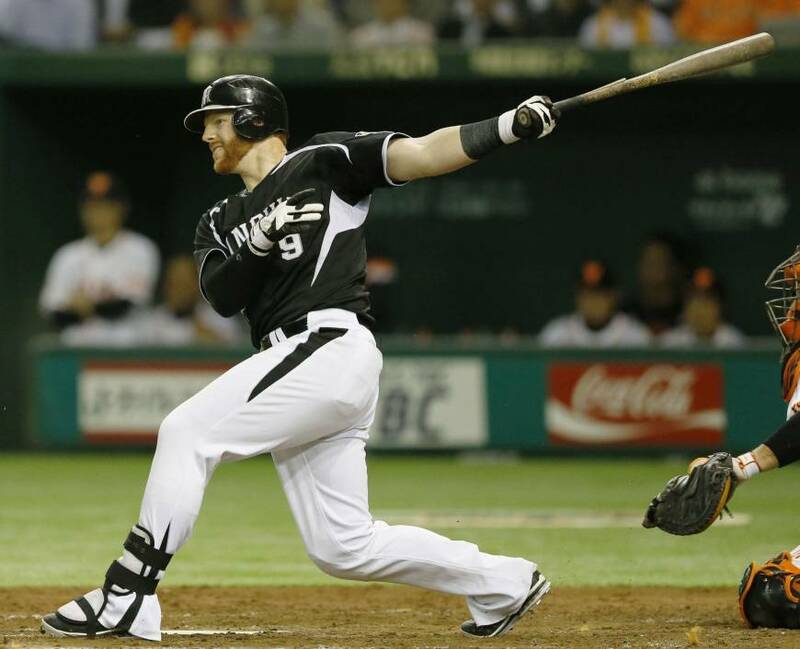 Hanshin is now two wins away from the Japanese Fall Classic. They’ll try to move a step closer with a win in Game 3, slated for Friday night back at the Big Egg with a scheduled start time of 6 p.m.